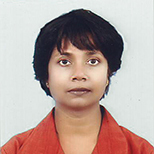 Moushumi Basu is an independent researcher, freelance journalist and documentary filmmaker based in Kolkata, India.She has been working on various issues related to environment, health and indigenous communities (forest and land rights, culture and heritage, etc.). Her print and video stories have been published in national and international publications and websites, including Zoomin.TV, Corpwatch, BBC Online, Economic & Political Weekly, Radio Netherlands Worldwide, and Infochange. What happens when the needs of endangered tigers and endangered people collide?